The year: 2006. The month: December. Democrats were gearing up early for a 2008 presidential primary, with better-than-usual confidence that the winner of the nomination would become president. Barack Obama, the first-term senator from Illinois, had finally confirmed that he was looking at a run. Bill Kristol appeared on Fox News to analyze the situation. If [Hillary Clinton] gets a race against John Edwards and Barack Obama, she’s going to be the nominee. Gore is the only threat to her, then. … Barack Obama is not going to beat Hillary Clinton in a single Democratic primary. I’ll predict that right now. It’s a little gauche to compare one’s predictions with those of a more senior and well-compensated pundit, but for the record: By January 2007 I was saying Obama could beat Clinton. * Clinton was polling well, but worse than some front-runners who’d ended up with surprising primary challenges (George W. Bush in 2000, for example). The Democratic base wanted a candidate who’d voted against (or not voted for) the war in Iraq. The first serious black candidate since Jesse Jackson could at least be expected to play well in Southern primaries. Etc. Many pundits assumed Clinton would be the 2008 Democratic nominee, but few said Obama would not beat her in a single primary. Hillary is very likely to be out of step with the Democratic primary electorate in 2016—too close to Wall Street, too establishment, a prominent part of an administration that employed drone strikes and used the NSA in all sorts of dastardly ways. For Democrats in 2016, Hillary Clinton might be too much of a… Clinton Democrat. She’ll have a tougher nomination fight than everyone now expects. Take note of the total absence of data. I don’t take national nomination polls very seriously, so let’s focus on Iowa. It’s early (obviously! ), but throughout 2013, polls found Clinton’s support ranging between 60 percent over the field to 71 percent. Joe Biden, her closest competitor, never got closer than 47 points behind Clinton. Elizabeth Warren, who’s been built up by the pundit class as a better representative of what the base wants, polled 66 points behind Clinton. There aren’t many polls from 2005, but throughout the 2008 primary Clinton never broke 40 percent over the field—she frequently trailed John Edwards and Barack Obama. There were, in that cycle, two Democrats who started the race with advantages over Clinton in the first caucus state. There are currently zero Democrats who challenge her there. 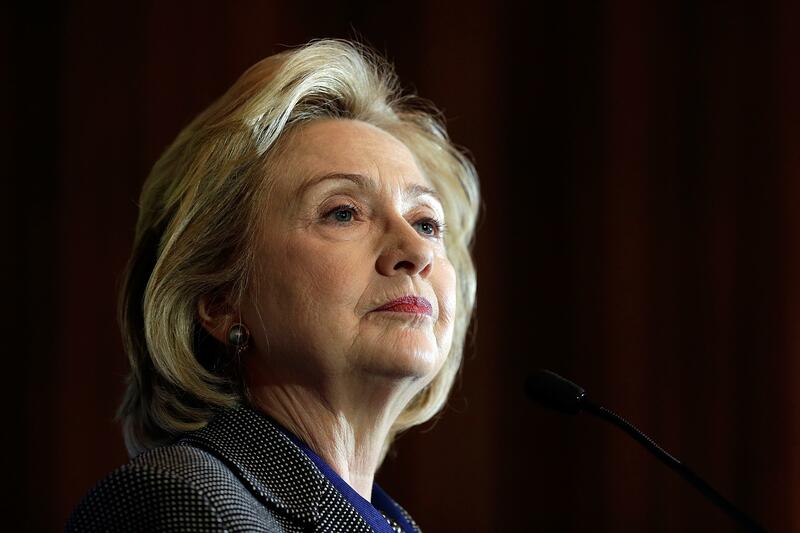 Is Hillary universally beloved by Iowa Democrats? No; Peter Hamby’s terrific reporting finds a state party divided between Clinton fans and people who kinda-sorta want someone new. Kristol’s right that the GOP will likely choose a candidate younger than Clinton, maybe a generation younger, and that for now it has a deeper bench. But that’s not much of a column, whereas “I can’t prove this but Clinton maybe won’t run?” fools people into writing about the thesis. tl;dr - Hillary Clinton will easily become the next Democratic nominee if she’s up for it, though Democrats may pose a Bradley-vs.-Gore sort of challenge to her. *I was totally wrong about the Republican race and thought Rudy Giuliani could make magic happen.